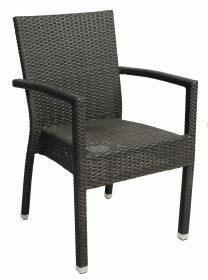 The Paris Outdoor Wicker Café Chair are popular for their design beauty & comfort. This style of bistro chair is commonly found in side walk cafes throughout Europe. With an aluminium frame painted to look like bamboo wrapped in resin wicker this café chair has the look and feel of traditional wicker without being susceptible to rot, cracking and fading – perfect for outdoors. Perfect for outdoor dining, a Santiago Outdoor Wicker Café Chair features a high back that adds comfort. The synthetic wicker seat and back rest is easy to clean and maintain, allowing the chairs to withstand regular outdoor use in cafes, hotels and restaurants whilst the strong aluminium frame ensures a robust and reliable addition to your café furniture. 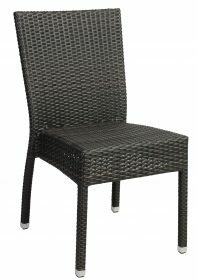 Perfect for outdoor dining, a Santiago Outdoor Wicker Café Chair features a high back and arms that adds comfort. 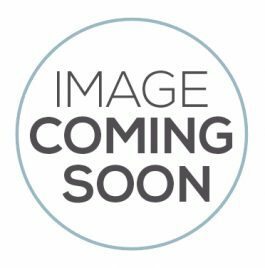 Palm Outdoor Wicker Café Chair – side are popular among commercial venues or areas that flow from indoors to open space in a semi-outdoor fashion. And don’t be afraid to set these chairs outdoors. Packed with UV stabiliser, these chairs are built to withstand outdoor conditions and will not fade, warp or crack even when fully exposed to our harsh Australian sun.